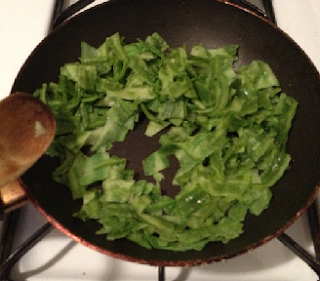 Peerkangai/Ridge gourd/Chinese Okra is a very common vegetable used in South Indian dishes. The inner part is very soft and spongy and mostly used in Kootu. We typically use the skin for making thuvayals. Nice recipe and lovely presentation. Healthy and favourite chutney of our family.Beautiful background colour. Fingure licking good..I love simple & mouthwatering chuteys like these..Makes your meal all the more healthy & enjoyable!! Looks good. I love to prepare it often. My fav chutney.. looks great !! 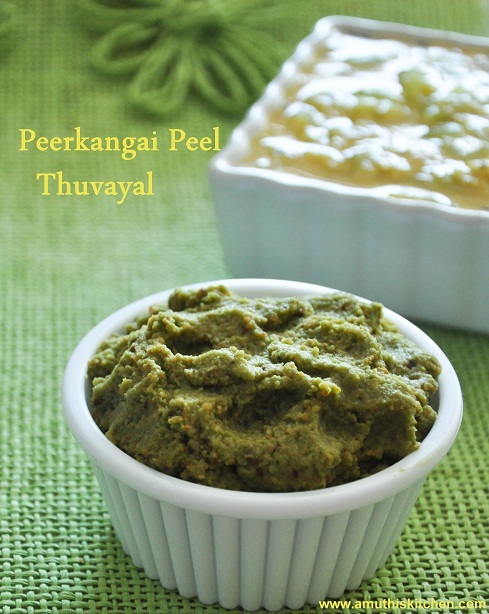 I just made peerkanga thogayal last week, but I through the skin in the trash. Will try to make use of the whole veggie for a change. I am always concerned if they would taste bitter.